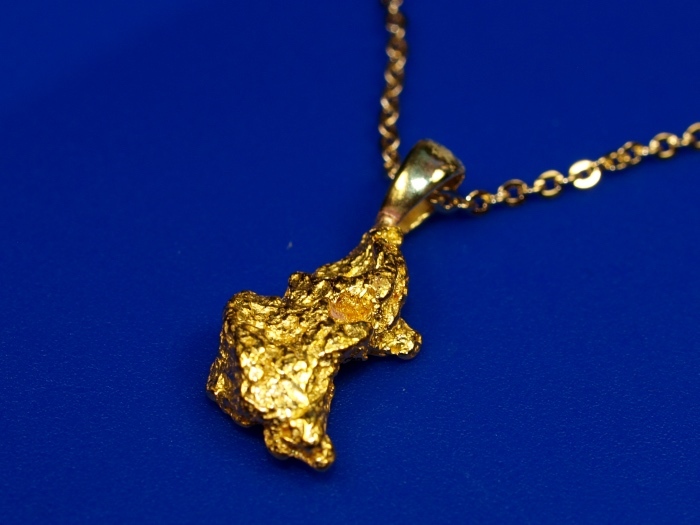 This beautiful little gold nugget pendant is made from a natural Australian gold nugget. The nugget is nice and shiny, with a raw purity above 22k. 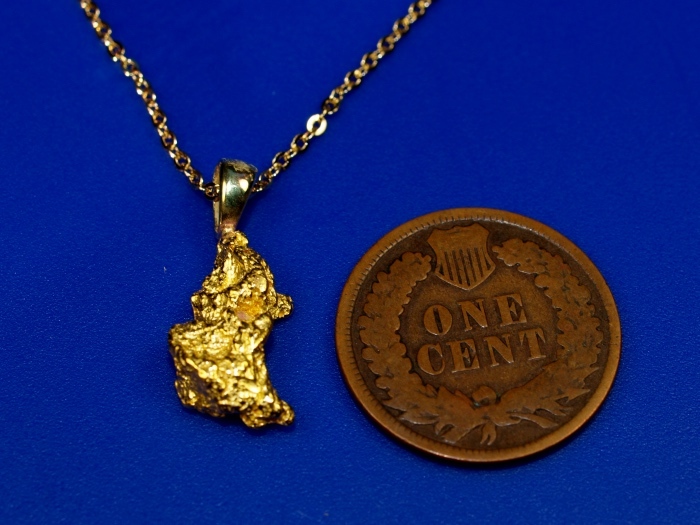 A solid 14k bezel is soldered to the top, and I am including an inexpensive gold-fill chain so it will be read to wear. It will ship for FREE and comes in a nice display case. 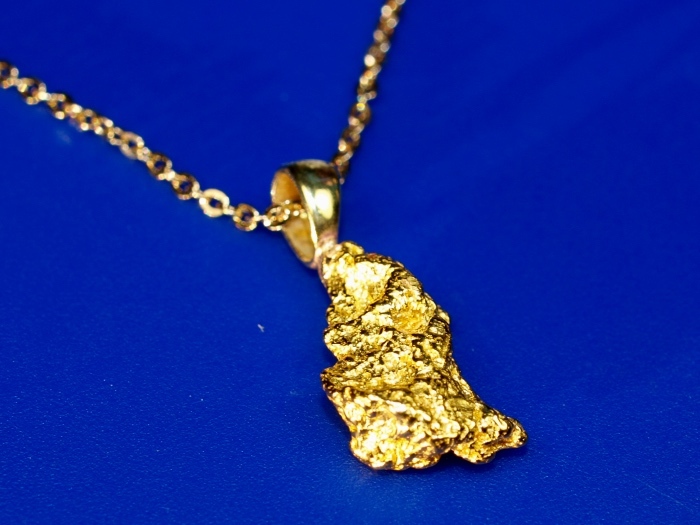 You can also find many natural gold nugget pendants on our Slab Creek Designs Etsy Page.